The Mediclinics Optima is perfect for medium traffic situations, bringing premium features to a medium price category. And did we mention that the Mediclinics Optima hand dryer is quiet? Really, really quiet. Oh, and the fact that it comes in two, stunning Stainless Steel models? 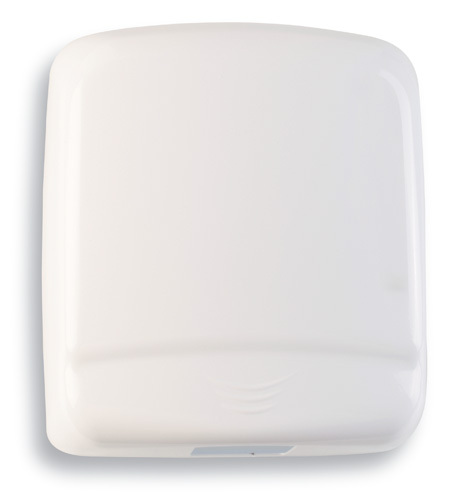 The Mediclinics Optima hand dryer is one of the quietest machines on the market. It is even quieter than machines with much lower performance figures. Excellent vibration isolation in the mounting system. 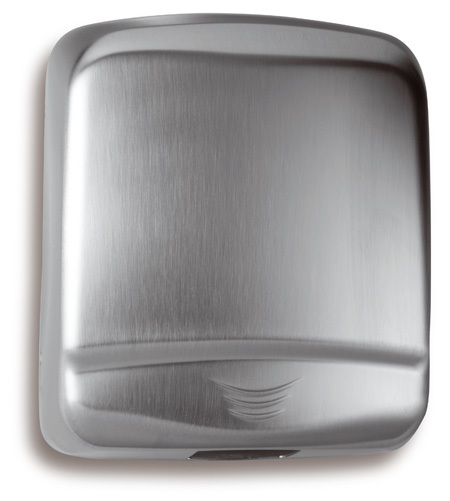 The Mediclinics Optima hand dryer brings premium style to the medium price bracket. It has a very clean, modern design, which will work well in a wide range of current interiors. Three designer finishes make it very versatile – white (steel) and stainless steel (bright and satin). The stainless steel options are very attractive and robust. European design, manufacture and components guarantee a product of the highest quality. Backed by the best warranty in the country. The IR detection sensor is adjustable, with two settings at 15 and 25 cm, to allow customising for various settings. Induction motor, 2800 rpm, F class, maintenance-free and high durability, incorporates a self-resetting safety thermal cut-off at 130 ºC. Modulated management of heating-element for longer component life. The Mediclinics Optima hand dryer has good vandal-proofing features. Casing materials are one-piece, solid, 1.9mm thick steel and 1.5mm thick stainless steel. Casing design minimises points of ingress and flat horizontal areas, discouraging placement of cigarettes and coffee cups etc. The Mediclinics Optima hand dryer bridges the gap between high performance and budget machines. It boasts excellent performance for its class but adds premium features, like Stainless steel casings, to bring a touch of class to a building project. The Mediclinics Optima hand dryer has the best warranty in its class. The warranty terms are so good for one reason – quality. We are absolutely confident that this machine, properly maintained, will continue to operate faultlessly way beyond the term of the warranty. Great design, exceptional manufacturing QA processes and quality European components guarantee an exceptional product. The Mediclinics Optima hand dryer is a quiet, medium-range machine with premium looks and features. The modern European design will complement a wide range of washroom interiors. The Mediclinics Optima is the quietest machine in its class. The standard shape and fitting holes make it easy to specify for a large range of projects. Hand dryers, in most commercial settings, are an environmentally positive choice, outweighing paper and cloth towels both in terms of invested energy costs and running costs. The Mediclinics Optima hand dryer comes in a choice of three finishes; white (steel), bright stainless steel and satin stainless steel. The Mediclinics Optima hand dryer , above all, is a high quality machine. It is designed and manufactured in Europe to the highest standards, with all components sourced in Europe. Because of this, the Mediclinics Optima has the best warranty in its class. The Mediclinics Optima is a very easy machine to specify for any medium traffic project. It is a high quality, medium priced machine in a premium, great looking package. It is very quiet and has excellent performance figures and energy efficiency. For medium traffic situations, the Mediclinics Optima hand dryer is the prestige choice.